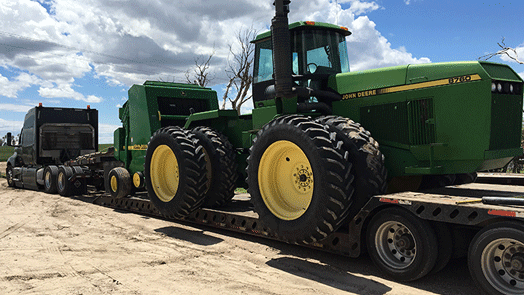 Tractor Transport Can Haul Your Farm Header in All 50 States! 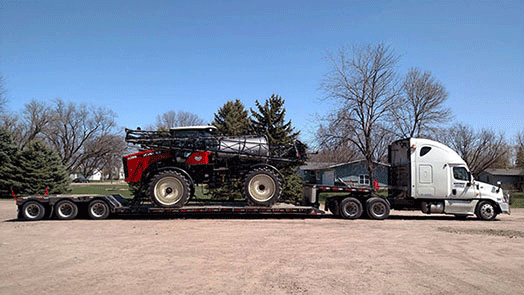 Talk to Tractor Transport to ship your farm headers anywhere in the US, Canada or Mexico. 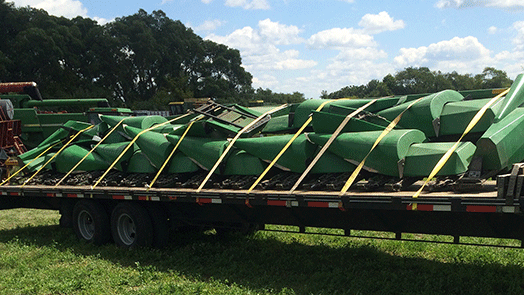 Row crop, platform or forage, depend upon us to ship your farm header where you want it, when you want it. Talk with one of the experienced logistics professionals at Tractor Transport today, (877) 373-0109. 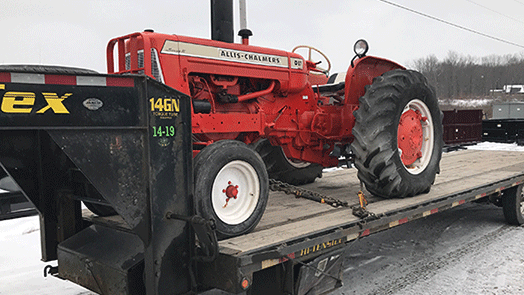 Tractor Transport recently shipped this Horning Corn Head from Lewisburg, Pennsylvania, to Flasher, North Dakota. The journey was more than 1,500 miles. Weight: 2,000 pounds. Length: 8 feet. Width: 8 feet. Height: 5 feet. To ship your farm heads anywhere in the US, Canada or Mexico, call Brian at Tractor Transport directly at (954) 603-1344. 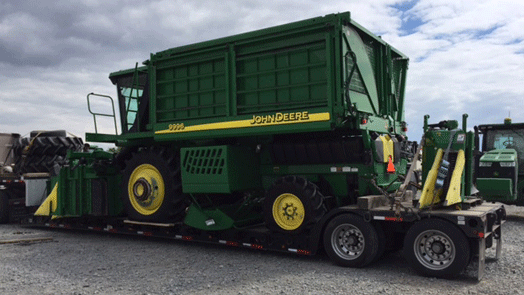 Choose Tractor Transport to Ship Your Farm headers! 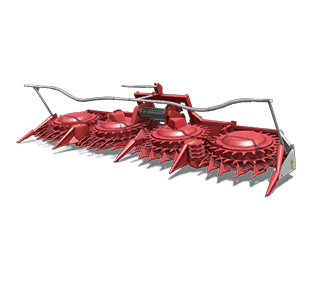 Farm headers are attachments that can cut crops, pick them up and place them in windrows. Headers are attached to the front of combines, swathers and windrowers. Headers are designed for specific crops. For instance, corn headers strip the stalks and leaves from the corn. 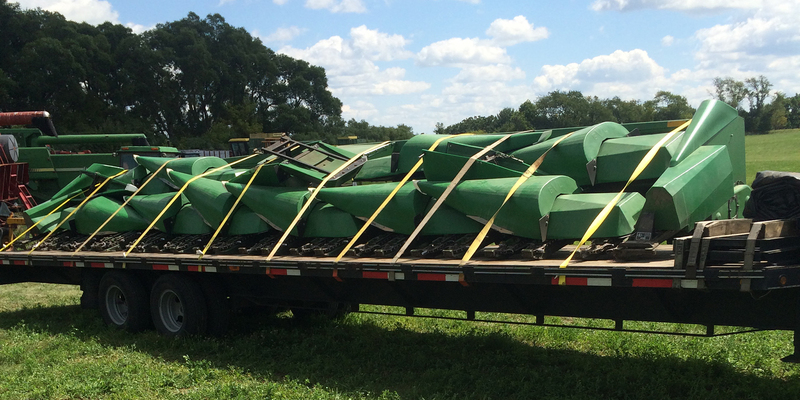 Draper headers are used to cut wheat, while flex headers harvest soybeans and cereal crops. 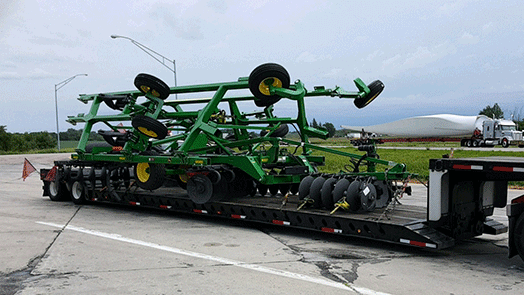 Choose Tractor Transport to ship your farm header. 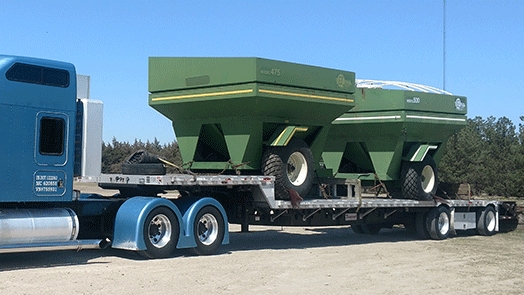 Since farm headers come in all shapes and sizes, you’ll need to decide which type of trailer your equipment requires. 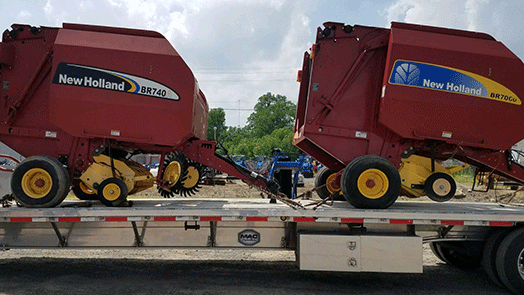 Smaller farm headers can ship aboard a flatbed trailer, while larger headers will require a step-deck trailer or RGN trailer. 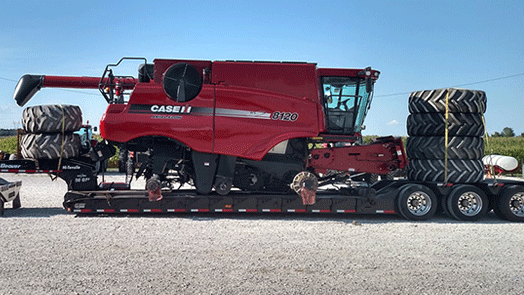 Sometimes you can ship your header on the same trailer as your harvester. If both fit on one trailer, you’ll save money. Another option: Shipping your header aboard a hotshot trailer. Hotshot trailers are lightweight trailers, similar to step-deck trailers, that are pulled by pickup trucks. Farm headers fit perfectly on a hotshot trailer.